If you are interested in filling an open position, please contact president@isug.com. Appeon is planning to do a series of Webcasts to present the vision and roadmap that are planned for PowerBuilder. The first webcast will be hosted at the end of October. 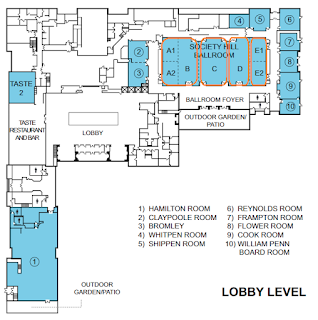 It will focus on explaining to the community their vision for PowerBuilder. The second webcast will be presented several weeks later. It will focus on explaining to the community the high-level roadmap planned for PowerBuilder. Early next year will be a final Webcast. This Webcast will explain to the community a detailed roadmap that is planned for PowerBuilder. Stays connected with Appeon to get updates to the PowerBuilder roadmap via the Appeon Website, Facebook, LinkedIn, and Twitter. Novalys and Appeon have partnered on the latest survey. Provide your input on this years survey and, as always, obtain access to the results from last years. 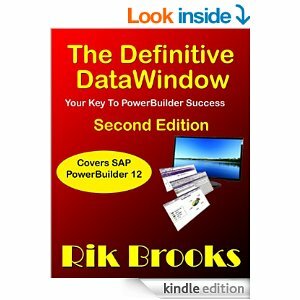 An updated version of the Definitive DataWindow is now available on Amazon as a Kindle book. The updates make it current to PowerBuilder 12. This session will outline the major capabilities of Appeon for PowerBuilder 2015, including demos of the biggest new features. See PowerBuilder functionality and UI faithfully replicated across multiple browsers. You will also see PowerBuilder extended with mobile-specific functionality, such as QR code scanning, mobile payment, and signature capture. Learn what Appeon plans to release in Q4, and about technology currently under R&D at Appeon’s labs that could make it to market in 2016 and beyond. A recording of the webcast can be found here. The first guest speaker was Dirk Boessmann, Senior Vice President of Mobile Development at SAP. He had a question/answer session with the host, Christophe Dufourmantelle. Dirk had spoken to the German PowerBuilder User Group in October of 2014 during which time he had a "theoretical discussion" of what options a company like SAP might have in deciding a future for a product like PowerBuilder.